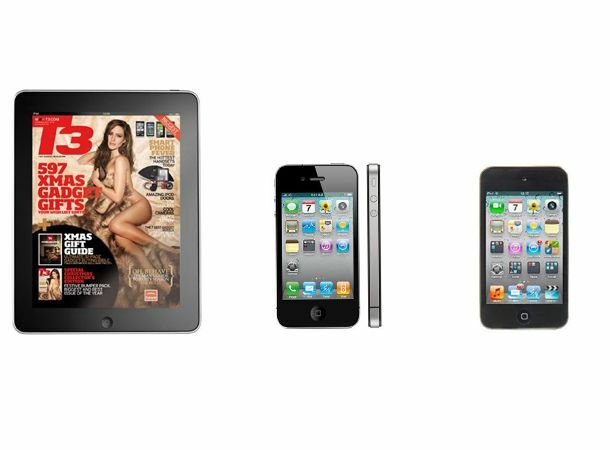 What's in store for the iPhone, iPod Touch and iPad? The latest Apple OS update appears to be nearing launch, bringing with it all manner of feature goodies set to make us even more inseparable from our beloved Apple tech. iOS 4.3 beta versions have been in the hands of developers for some time now, and looking beyond minor cosmetic updates such as a new FaceTime icon, and a redesigned iPad keyboard, we've taken a look at the more notable features set to change your iLife once again. Confirmed by the launch of the Daily iPad newspaper last week, developers and publishers will soon be able to charge for applications on a daily, weekly and monthly basis. The Daily is currently free to download for the next two weeks, by the end of which we expect the in-app subs to tie in nicely with an official iOS 4.3 launch. Perhaps the most exciting iOS 4.3 addition to the iPad could be the introduction of multitouch gesture controls that will enable a feast of new motion commands with four and five finger pinch, swipe and flick gestures all supported. The new tablet feature could also see the removal of the Apple tablet's Home button, a feature strongly tipped for the Apple iPad 2. As the beta version of iOS 4.3 touched down with devs, along with it came confirmation the iPhone will soon be able to convert its 3G reception into a personal wireless hotspot network enabling additional devices to get online. Apple introduced the feature which allows users to stream video, audio and photos from other Apple devices such as Apple TV over Wi-Fi when it first launched iOS 4.2. The iOS 4.3 beta revealed Airplay will now be available to developers of third party iOS applications, opening the opportunity for some interesting iPhone apps in the future. iPhone's video camera is set to receive a live on-screen effects overhaul with mock thermal imaging, Kaleidoscope, Light Tunnel and X-ray effects all added to spice up your handset-shot footage. Spotted in an iOS 4.3 developer build, Apple is tipped to introduce a 'Find my Friends' social networking feature to its MobileMe service. Documentation refers to the service as a 'Friend locator' which is likely to work much in the same way as location based services such as Google Latitude and Loopt. A move that may prove popular with many iPad owners, Apple has decided to welcome back the option to lock the screen orientation via the hardware mute switch. Previously featured on the iPad as a default prior to the launch of iOS 4.0, you can now choose to keep the 'side' mute switch as a mute switch, or change it to a rotation lock in settings. One for iPhone 4 owners to potentially look forward to, iOS 4.3 could see the introduction of wireless sharing which will essentially enable sharing Wi-Fi connections around your location. This means that no matter where you are, you'll be able to tap into other Wi-Fi connections around you to send those important emails or to check the even more important Facebook status. The app within an app which embraces HTML 5 to bring interactive advertisements to your iDevices are set to get a whole lot bigger notably taking advantage of the iPad's 9.7-inch screen surroundings to deliver full-sized embedded video and games. The very latest on an official iOS 4.3 launch date point to February 14th which comes courtesy of a new report from the Cupertino fans at MacStories. Not too far behind the outbreak of iOS 4.3, it looks likely that an iPad 2 event will follow at the end of February if the latest from Japanese Mac site Macotakara proves correct. So, there could be plenty for Apple fanbois to look forward to in the coming weeks.